One man is peddling his way to the green. No, it’s not money. It’s green energy that could change the way we power our country. 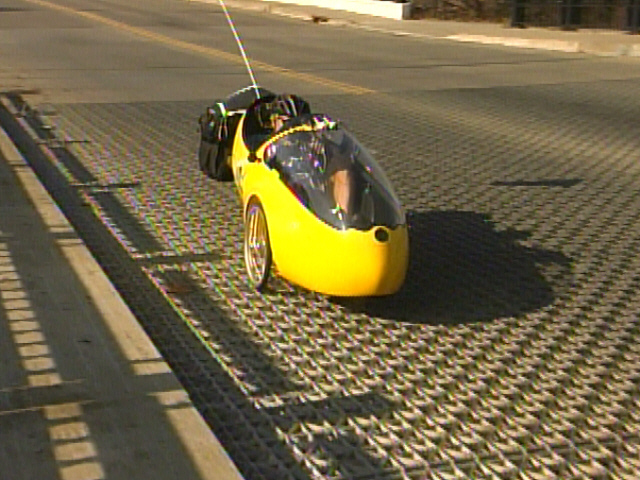 Tom Weis and his human powered, electric-assist "rocket trike" started in Boulder, Colorado eight weeks ago and are traveling 2,500 miles, and his ride just happens to coincide with the 48th anniversary of President Kennedy’s historic speech of having a man land on the moon. That goal was met long ago. "Where’s our generational mission? We’ve got a climate that’s melting down. We’ve got an economy that’s in free fall. We’ve got over eight million Americans that are unemployed. A green industrial revolution is the answer to those problems," says Weis. His mission is to have a 100% US renewable electricity grid by 2020. He’s says it’s encouraging to hear about Muskingum County’s recent investment into one of the country’s largest solar farms, which can create 700 Ohio jobs, but with Ohio’s weather. Is it a good idea to put one here? "You wouldn’t have a major company developing and investing in a solar farm if the resource was not a good solar resource," says Weis. Weis is biking all the way to Washington DC, but is unsure of his arrival time. If you’d like to sign his petition or learn more about his ride across country, visit rideforrenewable.com.